Two local women have been selected to feature in a touring exhibition that brings the stories of women, including recipients of the Victorian Honour Roll of Women, to audiences across the state. 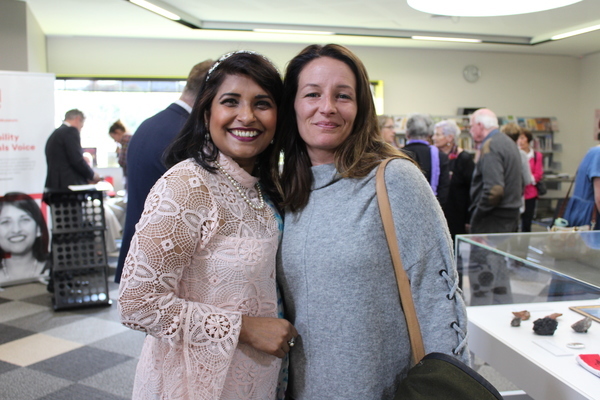 Pakenham activist Shoheli Sunjida and Phillip Island resident Kay Setches, a former MP, Minister in the Cain and Kirner Governments, and long-time campaigner against family violence, are just two among ten women included in Her Place. 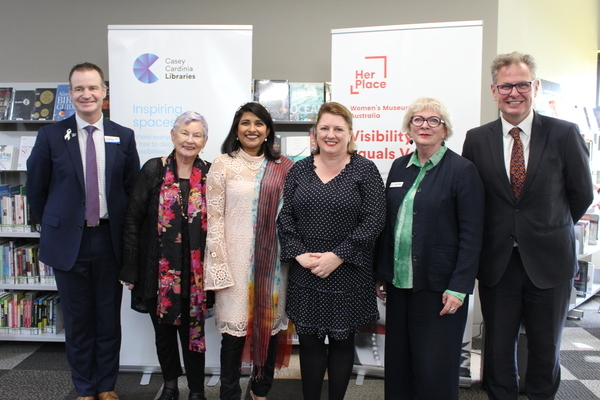 Presented for the first time in Pakenham, Her Place tells the stories of ten women from across Victoria who have contributed to Australian society in a broad range of ways. 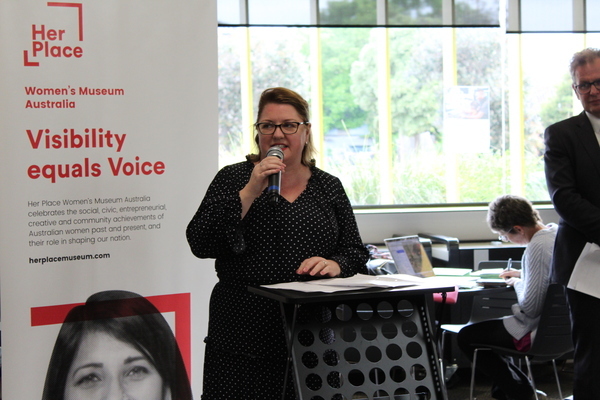 The exhibition was officially opened at the Pakenham Library by Natalie Hutchins, the Minister for Women and the Minister for the Prevention of Family Violence, on Tuesday 23 October. 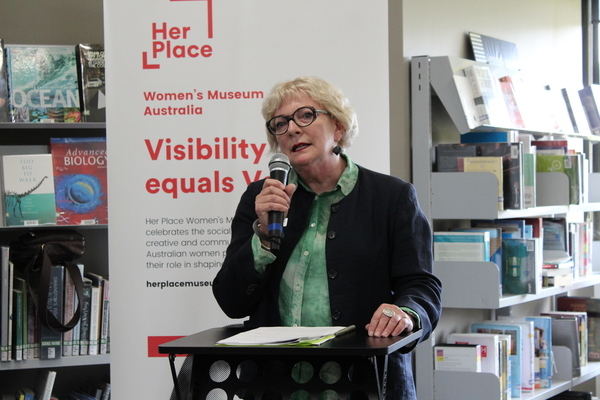 “It’s not just a nice idea that we celebrate women’s history, but it’s an extremely important part of taking a step forward for women’s equality,” Minister Hutchins said. Shoheli Sunjida, 40, who features in the exhibition and who migrated from Bangladesh with her husband and the first of her two sons in 2002, thinks Australia is lagging when it comes to women and leadership. “Conservative white males don’t want to see women coming forward, whether it is in politics, schools or companies. Unequal pay is shocking. Lots of migrant women don’t know their rights, which means that they’re often exploited. I am determined to change all this,” she said. Sunjida was motivated to get involved politically when her family moved to a new area in Cardinia Shire in 2012 and discovered that the walking paths, bike paths and disabled ramps around the lake at the centre of the community had been removed because they weren’t fully railed. She and a community group she started worked hard over a number of years to have the facilities restored. Sunjida stood for council in the 2016 elections, missing out by 37 votes. Meanwhile, she has thrown herself into community life. 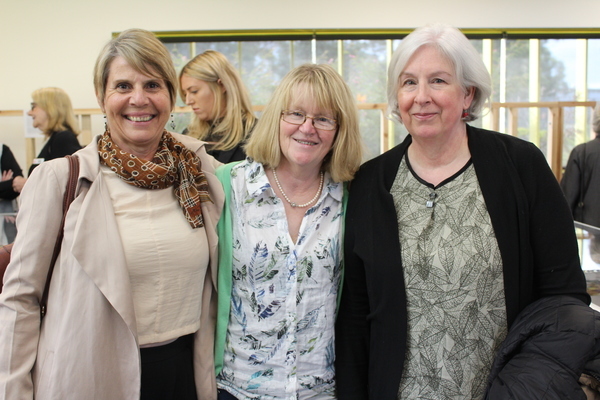 One of her key initiatives is the Cardinia Food Movement. 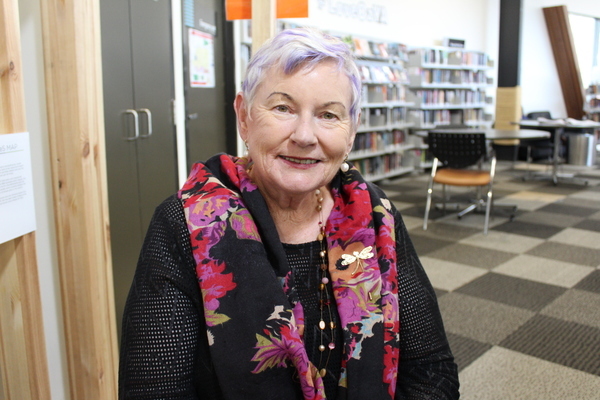 Also featuring is Kay Setches, 73, who was one of the inaugural inductees onto the Victorian Honour Roll of Women in 2001 and has devoted most of her life to campaigning for women’s rights and an end to family violence. Now living at Phillip Island, Setches is far from retired. 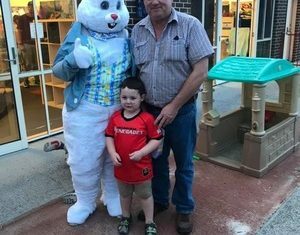 After the recent murder of a local mother, she is part of a huge campaign to put in place a comprehensive program to combat family violence. “My whole life has been about tackling family violence and breaking the stigma surrounding it,” Setches said. 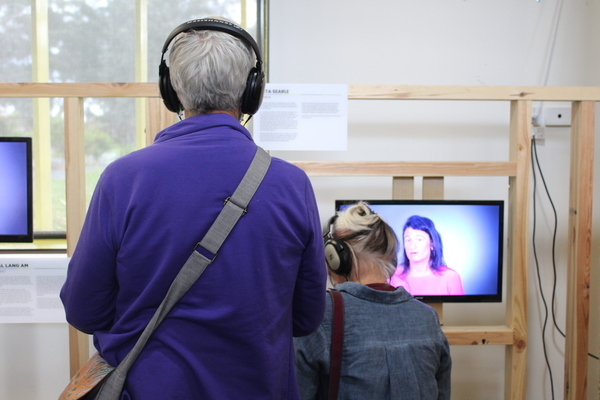 The current turmoil over women’s political representation highlights the need for exhibitions that explore – and celebrate – the role of women, said Mary Stuart, who chairs Her Place Women’s Museum Australia. “We need to have greater levels of representation from women in our leadership roles,” Stuart said. “We haven’t yet got the bricks and mortar, but we will keep working towards it; we are not going to go away. 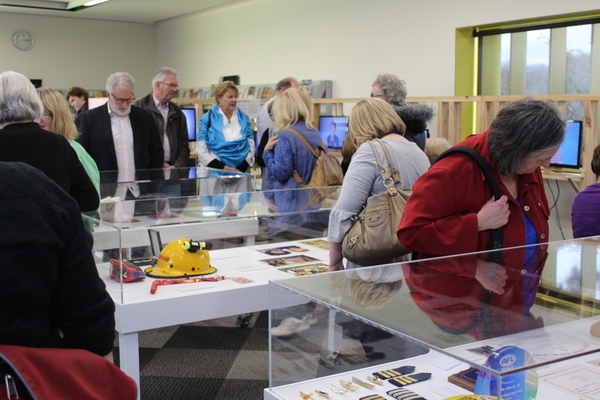 Her Place will be open for exhibition at the Pakenham Library from 24 October – 11 November before shifting to Ballarat.